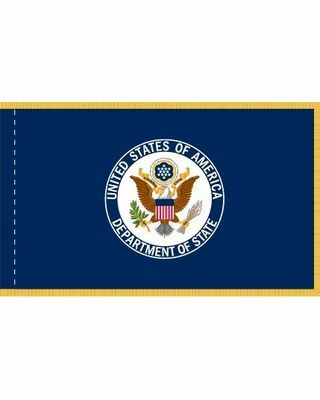 Each 4.4 ft x 5.6 ft. Ceremonial Department of State flag is printed on SolarGuard nylon, finished with a lined hemmed pole sleeve and trimmed in gold rayon fringe. Our flags are made to US Government specifications in the USA. 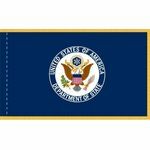 4.4 ft. x 5.6 ft.